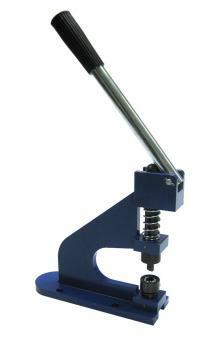 Small light weight hand press for processing of self-lapping eyes from 6,35mm up to 18 mm. 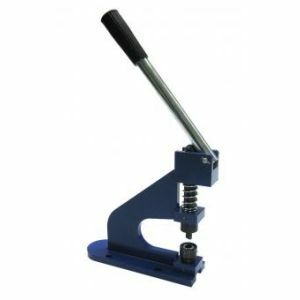 Punches and eyes in one working process. 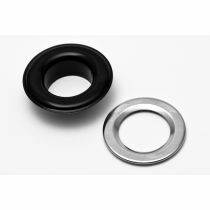 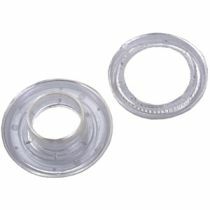 Delivery including adapter for 12mm plastic-grommets. 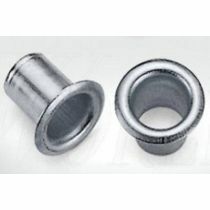 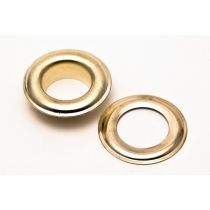 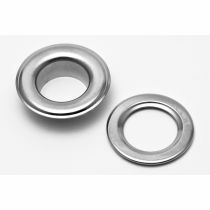 The usage of metal grommets is possible by operation with optional adapter for metal grommets.